A great little giveaway at any event! 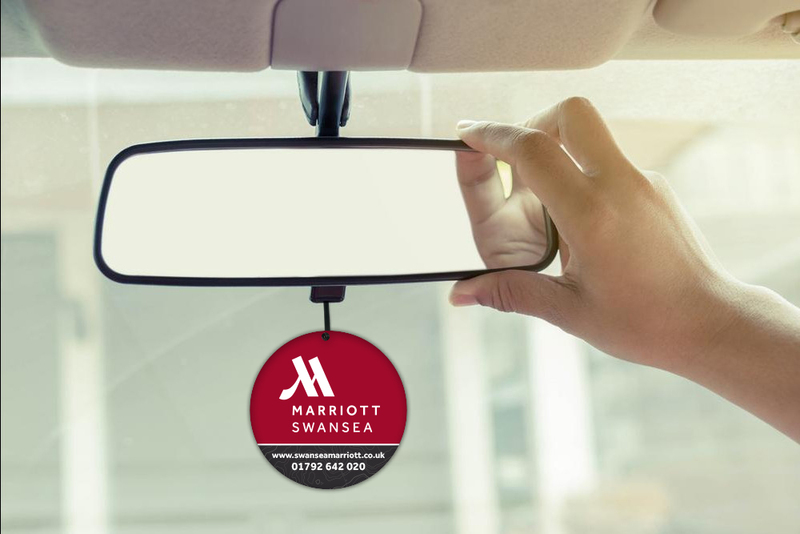 Air fresheners are always useful so people will place them in their cars – keeping your brand on display in their windscreens for weeks or even months! Marriott Hotels Swansea and Cardiff had these produced for the Eisteddfod in Cardiff Bay, printed double sided with their branding, website and phone number to make booking easy! A range of different scents are available too. Did you know, the Eisteddfod attracts over 100,000 visitors every year? !